In day to day life, we hold back. We can’t eat a five-course meal for lunch, because we’d fall asleep at our desk in the afternoon. We can’t finish that bottle of wine at dinner, because we have to be productive the next day. We can’t spend the day shopping or relaxing at the spa, because we’ve got real-world responsibilities. On vacation, though, we are different people. And we are ready to indulge. Some are coming off of a Lenten season of self-denial, while others may just want a chance to take a break from a diet or other restriction. But all of your donors want to let loose when they hit the road. With our non-profit fundraising auction travel packages, they can do just that. And while any vacation is bound to have the chance to indulge in one way or another, there are some destinations that are come to mind immediately when thinking about treating yourself. It’s not a coincidence that Mardi Gras, the festival of indulgence that precedes the self-denial of Lent in the Catholic (and other Christian) faith, has found its spiritual home in New Orleans, From the city signatures like beignets and Sazerac to the all-night jazz jams in the bars of the French Quarter, New Orleans is built for the binge. But the Big Easy is more than the drunken revelry of the Mardi Gras parade; it’s a city where people serious about their crafts, whether bartenders making Hurricanes or bakers making those powdered-sugar breakfast confections. And for those for whom indulgence comes aurally, there may be no city in the world more in love with music than New Orleans. Walk into any random bar on Frenchmen Street and you’ll be blown away by the jazz combo playing in the back corner. One of the most indulgent ways to spend a day is immersed in “shopping therapy,” going through racks and racks to find that perfect wardrobe piece. For those looking to splurge, Beverly Hills may be the destination; with shops for many of the high couture world’s most-loved brands, it’s no wonder that people from around the world plan vacations to visit. And for those who want to make sure there are no surprises when the credit card bill comes in, our “Beverly Hills Sensational Shopping Spree” packages even comes with a $1,000 gift card for Neiman Marcus, Saks Fifth Avenue or Barneys. But as cliché as it may be to say, Las Vegas likely still leads the league in indulgence. It’s in the Nevada desert that travelers can eat their body weights in gourmet food at all-you-can-eat buffets, discover their next favorite cocktail at one of the city’s many forward-thinking, mixologist-led bars, or relax the day away at a spa with world-class treatments. The impulse to overdo is built into the city’s DNA. And while it was once best-known for its seedier escapades, Las Vegas now offers something for fanatics looking to sate any hunger: Golfers, theater lovers and music fans also can spend days in Sin City consumed by their respective passion. 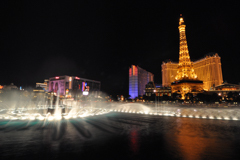 There are a number of ways to enjoy a Las Vegas vacation at any time of year. The city’s restaurant portfolio has exploded in the last decade, with celebrity chefs cooking everything from haute cuisine to pizza. There’s a surprising amount of art on display in the city, be it the whimsical signs of yesteryear of the Neon Boneyard or the touring exhibits stopping by the Gallery of Fine Art at the Bellagio. The only state in the U.S. that has fully adopted sports gaming is Nevada, which makes Las Vegas a very popular place to be during sporting events. Sunday afternoons during NFL season are almost as popular as Saturday nights. But the most interesting time to be in town may be during the NCAA men’s basketball tournament, or “March Madness” as it’s colloquially known. It’s the perfect intersection of big crowds and good weather; March tends to be when high temperatures start their upward trajectory and the big pools begin to open up after the windy desert winter. And if the sports don’t interest you, that just means you can get better poolside seats by going early in the day. Some of the biggest draws to the city combines work and play in a very specific way. Almost six million delegates visit Las Vegas for more than 20,000 conventions each year, according to the Las Vegas Convention and Visitors Authority. Some of the biggest, including January’s International Consumer Electronics Show and April’s National Association of Broadcasters show, brings tens of thousands of people to town, each of whom are splitting time between the button-up corporate world and the more relaxed nightlife of the city. The energy when surrounded by people letting loose after work and set free into the neon nights can be infectious. But not every crowd in Las Vegas needs a specific occasion. For those who want to see the city in its most natural state, just pick a three-day weekend. With a built-in chance for recovery, a vacation to Las Vegas can go from the hurried pace of a 48-hour turnaround to a more leisurely, stop-and-stare-at-the-neon affair. If Monday is the extra day off, the vibe in Vegas on that Sunday night can be hard to beat; the over-the-top revelry is out of everyone’s system, and the city’s fine restaurants and cocktail lounges often become the focus. For every vision of a beachside paradise, there’s someone who imagines trying to get the sand out of a bathing suit. For every cold drink, there’s a sunburn. And for every relaxing waterside read, there’s the specter of corralling the kids for the drive to the shore. One of the reasons that Mitch-Stuart offers such a wide range of non-profit fundraising auction travel packages is because one size – or one destination – does not fit all. While many are drawn to our selection of beachside escapes, with trips to the Caribbean, Southern California and Hawaii, there are some who still want to get some sun without having to deal with the beach’s drawbacks. For those sand-averse donors and potential bidders, here are some alternative pathways to Vitamin D.
Why would one go into the ocean when one can float above it? Cruises combine the sun and relaxation of a beachside vacation with the creature comforts not always accessible along the surf. Whether it’s sailing between islands in the Caribbean or navigating the Mediterranean Sea, riding a modern ship gives donors access to the best sunbathing, while also allowing for gourmet meals. And if a small taste of beach time is desired, there’s always a chance to get some sand in one’s shoes when disembarking at one of the ports of call. Neon isn’t the only light that can be found in Las Vegas, and visitors get to soak up that Vitamin D in multiple ways. The resorts of the city have a tremendous network of pools, each catering to a different taste; some of them are non-stop party scenes (“daylife” as it’s called in Sin City), while others are more relaxing and meditative. But what doesn’t get as much attention is the number of opportunities for outdoor enthusiasts within a small drive of the Strip. Hiking through Red Rock Canyon is a favorite pastime of the sporty Vegas resident, and Hoover Dam and the Grand Canyon are each comfortable day trips. The best part: After a day outside, your donors can soak their feet and get a massage at one of the city’s many spas. Finally, if there’s anything more relaxing than sitting by the pool, taking in the sun, it’s receiving a massage at the same time. Many luxury resorts offer poolside spa services, allowing visitors to get outside and find their bliss simultaneously; the Fairmont Scottsdale Princess, for instance, has an adults-only pool and group exercise activities in the natural light of the resort’s atrium, along with a spa-only menu of healthy cuisine served poolside. Combining Vitamin D therapy with wellness programs gives guests a stress-free glow – maybe the best souvenir to bring back to the real world. It can be easy, when thinking about beaches in far-flung places and tickets to glitzy events, to remember that the first question any of your donors will be asked about their fundraising auction travel package will be, “where are you staying?” Even in the most attraction-filled destination, travelers spend a plurality of their time in the hotel – much of it asleep, sure, but it’s also the respite from the craziness that travel can bring. And sometimes, that home-away-from-home carries as big a name as the nicest restaurant or most exotic location. Whether it’s the tickets to the big game or the transfer to or from the airport, Mitch-Stuart gives attention to every detail of its non-profit fundraising auction travel packages. That’s especially true of where your supporters will be staying at the destination, and it’s why we deal with some of the highest-rated hotels in the world. But there are three names in particular from our catalog that stand out even to the less-experienced traveler, iconic hotels that have the type of reputations you can use to help drive up bids. It’s hard to visit Los Angeles and not set foot somewhere that’s been used as a location for a film, of course, but the Beverly Wilshire is iconic for its place in silver screen lore. “Pretty Woman,” “Beverly Hills Cop” and even the television show “Entourage” have called the hotel home, and after the cameras have stopped, stars like Elvis Presley and Warren Beatty have lived in between its walls for extended periods. And along with its stature, the hotel is home to a top-of-the-line spa (a recent recipient of the Forbes Five Star award, in fact) and a Wolfgang Puck restaurant, along with being a short walk from the shops of Rodeo Drive. In London, the first-ever luxury hotel still may be the best. The Savoy Hotel opened in 1889, with of-the-time extravagances like electricity and hot and cold water in each room. Needless to say, the industry standard has upped a bit, but The Savoy has more than kept up; a renovation estimated at more than $300 million took place between 2007 and 2010. The result, according to most who have been, is old world elegance and service, but with the amenities the modern traveler requires. Of special notice: Afternoon tea in the hotel’s Thames Foyer is a must-do (and included in our “Stay at the Most Iconic London Hotel – The Savoy” package). But ask anyone on the street for the name of a famous luxury hotel, and the first response is most likely to be The Plaza. 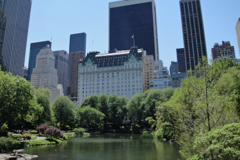 The New York landmark has 110 years of history, including being namedropped in iconic literature like “The Great Gatsby” and appearing in “Annie Hall.” It also may be one of the most accidentally-photographed hotels in the world; its address makes it a dramatic backdrop for the beauty of neighboring Central Park. It even became the name of a major international treaty: the Plaza Accord, which dealt with currency rates, was signed there in 1985. If you live in the Great Lakes region, early-to-middle February tends to be the coldest time of year. According to a report from the Guardian in 2012, we are in the middle of the coldest week in England of the year. February 13, 14, 17, 18 and 20 are five of the ten coldest days, on average, in the U.K. And for almost everyone else, the snow on the ground and the tiny “high” temperatures each day act as constant reminders that we’re in the depths of the winter. It is at times like these that travel thoughts often drift toward sandy beaches, tropical drinks, and all of the sun one can soak up on an island vacation. But while we love sending your donors on adventures with our fundraising auction travel packages, we also love it when your supporters get to fully explore a destination, not just the space directly around a beach chair. Our island-based trips include some destinations that are both about the beach and the culture or activities found inland. There certainly are beaches on Hilton Head Island in South Carolina, but the sand that most immediately associate with the resorts there sits in fairway-adjacent bunkers. The island is the home of 24 different golf courses (there are 40 in the area overall), and it’s become one of the most popular destinations in the country for both the weekend duffer and the scratch (that means even par, or very good) player. It’s also the home of 300 tennis courts, a major arts center and a tremendous local dining scene. It’s possible, in fact, to spend an entire vacation on Hilton Head without ever touching the sand – as long as you keep the ball in the fairway. Golf isn’t necessarily high on the amenity list on Mount Desert Island in Maine, despite its name; being that far north usually makes courses unplayable for much of the year. But what it may lack in putting surfaces, it makes up for in natural beauty. 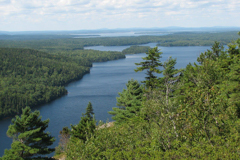 The island is the home of Acadia National Park, the first park east of the Mississippi River, established in 1919. The park’s roads make for perfect hiking and biking trails. 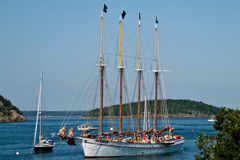 Bar Harbor, one of the island’s biggest towns (only topping out at a little more than 5,000 people), is a well-known tourist destination, and its downtown sector is a particular draw during the summer months. Whether it’s the height of summer or the dead of winter, the isle of Ireland is better known for its green grass than its beige sand. That’s not to say there aren’t places to break out the beach chairs, of course, but a trip to Ireland is a trip focused much more on culture than suntans. And despite being an island, Ireland has its fair share of geographic variety, too; the coastal mountains don’t reach the heights of the Rockies or the Alps, but they do provide for both recreation and dramatic backdrops for photographs. Its rolling green hills, meanwhile, draw visitors at nearly every time of year. Type “bleisure travel” into Google, and the search engine may try to correct your spelling. It is not a graceful portmanteau, and in a way it represents the exact opposite of its meaning: Business travel that is either expanded for or planned to include leisure travel elements (in the combined word, it looks like it’s the business that’s tacked on). For donors who might not feel they have time to take a “full,” week-long vacation, offering them a chance for a weekend stay in a city in which they may already be working combines convenience with relaxation, and makes them active participants in any non-profit fundraising auction. If, instead of planning work around a weekend away, your supporters can simply skip the return flight and have some unencumbered fun in a new city, it may inspire more of your gala attendees to consider bidding on a travel package (and more bidders often means a higher closing price). Want to offer some of your donors a chance to extend those business trips? Here are some thoughts on how to capitalize on the trend. A Weekend Away: Bleisure travelers are different than the regular business travelers, who are often ready to come home immediately after finishing their work (if not sooner). But even if the business traveler does want some extra time to explore a city, they’ll have already been away from home for a few days. A weekend trip makes perfect sense: Work for a couple of days, then spend a couple more days having fun. Cities to Consider: If you’ve got some donors who may be interested in bleisure travel, then picking the right destination is important. While we adore destinations like Bali and the French countryside, your donors may not be taking too many meetings during poolside yoga sessions or winery tours. Places like New York, Chicago, Los Angeles and San Francisco, of course, are common destinations for business travel, while Las Vegas may be the convention capital of the world. Evergreen Events: Some of our travel packages are notable for taking donors to our Destinations of Excellence™. Others find their biggest value in tickets for specific events, like the Super Bowl or an awards show. But if you want to attract bleisure donors, make sure your trip has access to a tremendous attraction that happens year-round. Think, for instance, about a trip with a food or beverage tour (like the pizza tour that comes with the “Leave a Pizza Your Heart in Chicago”), or maybe one with a round of golf or two included. A trip that works for business travelers is one that they can use no matter when work calls. We love every trip in our catalog of more than 300 non-profit fundraising auction travel packages, but each year we get asked the same question: What’s hot? What’s motivating donors right now? What’s drawing the biggest bids? There are, of course, evergreen answers to that question. Trips with once-in-a-lifetime opportunities attached – Super Bowl or award show tickets, for example – will always be popular. Certain destinations, like New York or Napa Valley, will likewise always draw eyeballs. But as we get our tuxes and dresses ready for New Year’s Eve, we wanted to take a look at some other ideas for 2017. Based on trend-spotters across the travel industry, here are some of the areas to consider if you want to ride the wave of a current surge in interest to a bigger fundraising haul. Return of the Snow-Seeker: People “pinning” snowbound travel adventures on Pinterest have increased by more than 300 percent, according to the site’s “Pinterest 100” trend report for 2017. Destinations like Vancouver, Colorado and Jackson Hole may see an uptick in interest for those looking to get a blast of winter cool while snowshoeing or skiing. Bali is Big: One of Booking.com’s picks for trendy locales in 2017, Bali is seen by many as a great choice for a relaxing “sanctustay,” coupling sightseeing with spa visits and wellness activities like yoga. Giving donors the chance for a once-in-a-lifetime trip across the Pacific may prove to be even more popular in the coming year. Baby Boomers Looking at International Travel: According to AARP, Mexico, the Caribbean and the United Kingdom are the three leading destinations for Boomers looking to use their passports. And while 51 percent of those surveyed are looking to stay in the U.S. (Florida and California being the two leading domestic vacation spots), 43 percent are planning to take at least one trip beyond our borders. Cajun Hospitality: According to the trend-spotters at JWT Intelligence, New Orleans looks to be a major player in 2017 tourism. 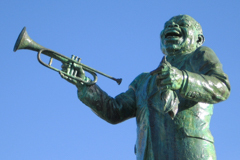 With cultural events like Jazz Fest and the Essence Festival growing larger each year and conferences like the tech-centric Collision moving to the city, there may not be a better time to offer your supporters a chance to see the Crescent City. There may be no true dictionary-style definition of this genre of dish; just like Mitch-Stuart’s fundraising auction travel packages, comfort food comes in many varieties. And during this season of big meals and tryptophan comas, selling a trip by appealing to donors’ stomachs may not be a bad idea. Here are a few of our favorite destinations from our catalog for filling, comforting cuisine. It shouldn’t be a surprise that the Lone Star State, the home of chili con carne and the league leader in brisket, excels at comfort food. But while Austin and San Antonio get the lion’s share of plaudits for their cuisines, Dallas has its own food culture, with richer dishes playing a major role. Rudy’s Chicken, with a line of cars around the block, is a local institution thanks to its fried chicken, while hungry diners have filled Norma’s Café for sixty years to try its chicken-fried steak. Ask any local, and you’ll get a long list of eateries serving up heavy meals. Of course, if the idea of “comfort food” has a spiritual home in this country, it would have to be in the Southeast. One of our favorite destinations in the region is Savannah, with its southern charm, cobblestone streets and historic squares. From the Boursin Chicken of 17Hundred90 Inn & Restaurant to the hole-in-the-wall charm of Walls’ BBQ, this is a city with a comforting, filling meal around every corner. Bonus: The food walking tour included in our Savannah travel package will allow your donors to walk off the calories, too! 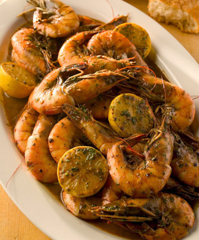 There are a few staples of the comfort food world – chili, fried chicken, chicken-fried steak, lots of other fried things – and then there’s the Cajun cuisine of New Orleans. We posit, however, that those two things don’t need to be considered separately. Cajun gumbo will keep the hungriest diner full and warm, while beignets round out any starch-friendly meal. Restaurants like Mr. B’s Bistro (with its Gumbo Ya Ya) and Commander’s Palace (with its famous, rich Turtle Soup) may not serve up chicken-fried anything, but there’s still plenty here to satisfy that comfort food craving. In an ideal world, we’d all have time. We’d be able to take a leisurely vacation that sends us to a remote part of the world, zipping through flight security, angelic family in tow. The clock on our trip wouldn’t start until we arrived, of course, and we’d get the full amount of pleasure out of our destination without jet lag. And then, refreshed, we’d come back home with a new outlook on life. This, sadly, is not that world. We’re big proponents of once-in-a-lifetime travel, yes, but we also understand that a multi-flight trip to a land with fewer creature comforts may not fit into everyone’s plans. And we’re not alone: The “staycation” became a part of the travel lexicon a few years back, when families were looking to take vacations without some of the hassles and costs of major travel. Now, only 35 percent of Americans were planning on traveling more than 50 miles from their homes in 2016, according to AAA. If you’re organization is based in one of our Destinations of Excellence® locations, could you benefit from offering a “staycation” at one of our partner luxury resorts and hotels? Let’s look at the benefits and the drawbacks. Less Travel Means Less Stress: A family with small children may not be interested in anything involving a long flight. An elderly donor may not be able to physically manage a plane ride. A couple may enjoy a quick romantic getaway. And no one, even someone with a passport full of stamps, likes dealing with the airport. Giving your supporters a chance for a luxurious, relaxing experience in their own hometown means getting to avoid long security lines and packing for every possible whim of a fussy toddler. Know Your Home: In some of our larger destinations, it can be hard for residents to really know everything. New York is different on seemingly every other block, for instance, and Dorothy Parker supposedly once called Los Angeles “72 suburbs in search of a city.” People return from our travel package destinations with new favorite restaurants, music or activities; when your supporters haven’t left town, they can keep going back to and indulging in those new discoveries – after all, those finds are just a short car ride away. The Fanciest “Spare Bedroom”: If your donors have family that comes into town over the holidays, then you can help them with their seasonal preparations. Your supporters can give that “staycation” to their kin. It’s a win-win: The travelers get to bask in luxury, while the hosts (your supporters) don’t have to clean out the guestroom. The “WOW” Factor: Your auctioneer will have to put some extra elbow grease into convincing your donors of the unique nature of staying in their own town. 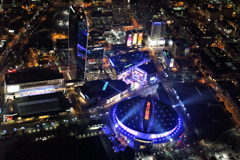 This is easy to do if the trip package includes a once-in-a-lifetime opportunity (getting a Los Angelino to bid on a package featuring tickets to the ESPYs or the American Music Awards, for instance), but could be more difficult with a simple hotel stay. Smaller Bids: With no transportation needed as a part of the package, many of these trips could start from a lower first-bid price, which could translate to a lower winning bid. Again, this is where a professional auctioneer is important; he or she is likely a master in setting a mood and vibe in the room conducive to big money pledges. Raffle Resistance: To get a donor to buy a raffle ticket is to ask them to gamble, essentially, and if the prize isn’t seen as exceptional, it may be a more difficult ask. The risk-and-reward balance may be different for a staycation than a more traditional, eye-widening choice. Staycations for Fundraising Auctions: What do you think? Let us know on our Facebook page or on Twitter @MitchStuartInc. The Halloween season has returned, bringing with it ghouls, ghosts and zombies. Houses in the neighborhood are decorated, pumpkins are carved and faces are painted. But the holiday is not often considered a chance for travel; kids usually have school activities tied to Halloween and anyone older might not remember the magic of the day fondly enough to set aside time for a road trip. However, Halloween is one of our favorite holidays at America�s theme parks. With an entire cast of characters in the spirit of the day, and plenty of resources available to transform spaces into truly frightening playpens of the macabre, there may be no better place to take in the atmosphere of the season than one of these amusement parks � each one a part of a fundraising auction travel package available through Mitch-Stuart. In Southern California, Disneyland is putting costumes on costumes for the month of October, with Mickey and Minnie Mouse, among others, wandering the park in their own Halloween outfits. Pumpkin King Jack Skellington and Sally from �A Nightmare Before Christmas� also wander the premises. But the big attraction of 2016 is actually a closing, rather than an opening: The Twilight Zone Tower of Terror is on its way out, giving way to a �Guardians of the Galaxy�-themed ride next summer. This is the last year to ride the elevator drop while listening to the spookily-soothing voice of Rod Serling. On the other side of the country, meanwhile Disney World Orlando has a different take on the holiday, with some of the traditional villains of Halloween recast. Zombies find their voices with the Cadaver Dans, a barbershop quartet of the undead. The Sanderson sisters of Disney�s �Hocus Pocus� mix potions, shadows and some of their evil friends to create the Hocus Pocus Villain Spectacular show. And the fireworks show, a traditional favorite of a visit to Disney World, gets a makeover during the season, becoming HalloWishes and incorporating more of Disney�s catalog of antagonists. But no amusement park may make a bigger commitment to All Hallow�s Eve than Knott�s Berry Farm. The Anaheim-adjacent theme park transforms each year into �Knott�s Scary Farm,� with mazes and monsters at every turn. �Scare zones� act as themed immersive atmospheres; this year�s include �Carnevil� and �The Hollow.� Mazes and rides also take on a creepy feel, and even dining gets a Halloween theme, with a �boo-fet� available each night before Knott�s opens (the scares are the roaming monsters, not any mystery meats). The park has even put together a less-intense experience, Knott�s Spooky Farm, for families with younger kids; it�s open during the daytime on weekends. In America, we�re getting ready for Halloween at the end of this month, but our Canadian friends are skipping right past that and heading straight for Thanksgiving. Canada�s version of the holiday occurs on the second Monday of October each year (meaning October 10 in 2016). Starting from a desire to give thanks for a bountiful harvest, today�s version is about gratitude for all things good � people, events or circumstances. Canada is one of our favorite destinations for our non-profit fundraising auction travel packages, and so this seems like as good a time as any to tip our cap in appreciation of our friends to the north. Hockey! The clich� is true: If you�ve never seen hockey live, you haven�t experienced the sport at its finest. And though the Canadian teams of the NHL have struggled a bit in the recent past (no teams from our northern neighbor made the playoffs in the 2015-16, the first time that�s happened since 1970), places like the Montreal Forum and Maple Leaf Gardens are epicenters of the sport still. With our �Go to Any NHL, NBA, MLB, MLS Game or PGA Tournament� travel package, your donors can celebrate the country�s national sport with a trip to any of the seven Canadian cities with teams. (For the record, that package also works with basketball, a sport invented in Massachusetts, but by a Canadian � it�s a sort of athletic dual citizen). Gorgeous winter wonderlands! The Pacific Northwest is beautiful at all times of year, but the winter months are when it really shines. 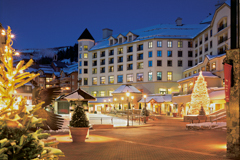 Vancouver practically sparkles through the season, and neighboring Whistler is one the world�s great snowy playgrounds. 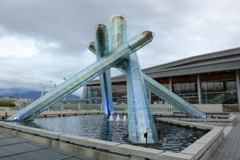 Trips like �Perfect Winter Wonderland� and �Vancouver�s Gateway to the Pacific� can transport donors to this stunning region for a seasonal getaway. Whether it�s exploring the charms of Vancouver itself (like the ice skating rinks that remain from the 2010 Winter Olympics) or barreling down a ski run in Whistler, the season�s charms come alive north of the border. Fun fishing expeditions! Outdoor activities in Canada aren�t limited to ice and snow, though. During the summer, there are plenty of opportunities to get outside and become an outdoorsperson (even if it�s only for a vacation). 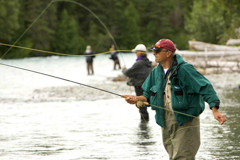 One of our favorites: the guided freshwater fly fishing experience that comes with the �Freshwater Fishing in Gorgeous Canada� package. Escape to either Alberta or British Columbia and spend a day with a guide and enough equipment to catch that evening�s dinner. There�s little more relaxing than taking in that summery lake view from a boat on the water. The early days of the fall are so charming, with the leaves changing colors and the air possessing that small �bite.� And the early days of the winter are cute too � that first light snowfall, maybe, or the first night gathered around a roaring fire. But once the first blushes have passed, winter can be a slog. And we�ve all had that feeling, maybe sometime in January or February, of desperation, waiting for the sun to return. Of course, when the northern hemisphere is at its coldest, our neighbors to the south are basking in the summer sun. And there are plenty of non-profit fundraising auction travel packages in the Mitch-Stuart Destinations of Excellence catalog that can send one of your supporters south of the equator to chase that summer feeling, even when the weather at home is stuck in a deep freeze. Winter in Australia is more myth than fact, as it is, especially in the North Queensland area. The coldest month of the year features average high temperatures in the high 70s, so your supporter can go on our �Experience Two World Heritage Sites� trip at any time of year and be guaranteed some rays. But for the most tropical experience, December and January is the time to get on the plane, with temps in the 90s. Of course, your donors will have the chance to cool off, while snorkeling at the Great Barrier Reef or relaxing in their villa�s private plunge pool. Of course, much of the southern hemisphere has that same year-round summer feel. A good example: The Summer Olympics this year were technically held in the winter � August in Rio de Janeiro should, by the calendar, be the equivalent of February here. Of course, Rio�s �February� looks much different than ours; by average, it�s the hottest month of the year, averaging 81 degrees for its daily high � perfect weather to explore the beaches of the Barra de Tijuca neighborhood on our �Sunsets, Samba and Soul� trip. The closer one comes to the equator, though, the less seasons tend to matter. And Bali is the closest of our destinations to the middle of the earth, meaning that there�s never a bad time to visit. The average high and low temperatures barely fluctuate throughout the year; our winter and their summer is mostly designated by rainfall rather than degrees. And while it does rain more in Bali over the winter months, this is a lot different than the driving, bracing rain one may find in colder weather. For those not afraid of the occasional cloud cover during a vacation, finding the warmer temperatures of Bali during our winter months can still make for a great break from the doldrums of the season. NYC at Its Best � the Fall! New York City doesn�t need much help in the way of tourism marketing, but someone in City Hall should likely tip a cap in the direction of Matthew Broderick around this time each year. For a generation of moviegoers, it�s Ferris Bueller�s lip-synced version of �Danke Schoen� that forever tied the country�s most famous urban park to the autumn: �I recall/Central Park in fall�� But there�s plenty of reason to seek out New York in the fall beyond the central Manhattan attraction. Mitch-Stuart produces non-profit fundraising auction travel packages to be used at any time of year, and supporters often use them to head to the beach in the summer or to the ski slopes in the winter. But unlike the heat and humidity of a Big Apple summer or the wet, biting cold of the city in the winter, the fall is the perfect season to explore a city best seen while walking its avenues. Outdoor Museums: The Museum of Metropolitan Art is a year-round concern, of course; air conditioners and heaters work wonders. But the fall brings interesting exhibits outdoors, like at the day-trip-worthy Storm King Art Center, with more than 100 works of sculpture dotting 500 acres of beautiful fields and hills. Closer to home, the Queens County Farm Museum features a three-acre corn maze, pumpkin patch and haunted house. 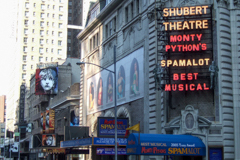 Broadway: The fall also brings with it a host of new Broadway shows. Star-studded revivals are on tap, led by �The Front Page� with Nathan Lane and John Slattery, along with world premieres and musical adaptations of Hollywood films (watch for �Holiday Inn,� the stage version of the Bing Crosby and Fred Astaire classic, to draw big crowds). After a slow summer season, Broadway is often heating up just as the temperature is starting to drop. Festivals: Oktoberfest is a favorite celebration everywhere where there are people who imbibe, and New York does it up right with its biggest celebrations taking place in Central Park and on the East River. 2016�s biggest dates have already passed (American Oktoberfest is mostly celebrated in September, due to weather concerns), but beer fans can start planning for next year. Or, if they�d like a boozy celebration sooner, there�s also Cider Week, observed this year from October 21-31. Whether it is postcards, that perfect sea shell or even a snow globe for a collector at home, trinkets from vacation always fill any leftover space in luggage when a traveler returns from a voyage. But not all souvenirs are physical; some globe-hoppers may come back with fascinating stories, others with a new affinity for a specific wine varietal. Some may even have figured out how to finally hit that untrustworthy pitching wedge (just kidding, of course � no one knows how to do that). But maybe best of all is when someone returns from time away with something healthy to add to their life � a new habit, perhaps, or a positive change in outlook. At Mitch-Stuart, Inc., we believe that travel is inherently positive, whether it�s as healthy as a beachside yoga retreat or as gluttonous as a weekend in Sin City. But there are some habits that your donors can pick up on the road that can translate to a healthier lifestyle at home, and a vacation away from the stresses of the day-to-day life may be the perfect time to acquire those patterns. One healthy habit that can be picked up while on the road is also our first form of transportation � walking! Exploring a new destination on foot can be one of the most insightful ways of seeing what makes a city tick, along with being a way for travelers to find their own �hidden gems� � those corner caf�s or small parks that don�t make the guidebooks. Spend a week walking around a dense, urban center like New York or London, and one may want to come home and spend more time discovering the lesser-known neighborhoods their own city has to offer. Of course, not all by-foot exploration needs to be urban. Some of our favorite trips give donors a chance to go hiking in some of the world�s most beautiful destinations. Getting out and seeing the sights of the Rocky Mountains in Aspen, or the wilderness of Jackson Hole, may be the catalyst a donor needs to conquer that hike closer to home, and get a good workout in at the same time. American take-out food consumption has risen dramatically over the past few decades, as has obesity rates. Correlation doesn�t prove causation, of course, but the added ingredients in a lot of the fast food we consume certainly don�t make us healthier. If you want to start a new habit of eating better food, you can go on the road to a few different cities for inspiration. One trip to take may be to San Francisco, where chef and food activist Alice Waters opened her first restaurant, Chez Panisse, in 1971. In doing so, she sought out organic foods to serve, long before �farm-to-table� was a buzzword, and her restaurant continues in that tradition to this day. 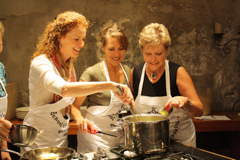 For those who want to have control over a meal�s ingredients by learning how to cook it themselves, several of our trips to Italy, France and even New Orleans feature cooking lessons, as well. We�ve spent some time recently extolling the virtues of stress relief while on the road, but it�s important enough to mention again: Traveling doesn�t have to be a tension-accumulator. Thankfully, many of our trips include treatments at resort spas, like those at the all-inclusive Palace Resorts in Mexico, several trips to Florida and even some adventures in California�s wine country (combine a massage with a glass of wine for full relaxation). The stereotypical images of summer vacation involve beaches. Whether it�s lounging on the shore, playing in the sand or swimming in an ocean or lake, the images that spring to mind when people talk about the summer months are those of surf, sandcastles and sunscreen. But just because snow is far from the average mind � not to mention the weather report � doesn�t mean that mountains and colder regions should be considered off limits. Mitch-Stuart, Inc., puts together non-profit fundraising travel packages to destinations all over the world, and many times winning bidders want to see the sights during peak seasons. But as summer gets ready to make its entrance, it�s nice to remember that the best places to vacation during these months aren�t always the sandy beaches. 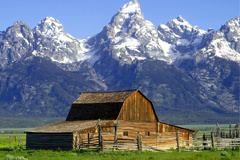 In fact, heading to a location best known for its winter escapades can be the best way to spend a summer break. 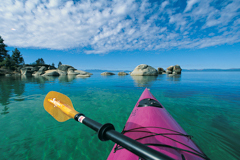 It�s strange to see a destination with �Lake� in its name and think of wintertime fun, but Lake Tahoe is probably best known for its world-class skiing, both downhill and cross country. During the summer, though, Tahoe still shines, thanks to its diversity of entertainment options. Water-based activities are a must in the resort town, of course, with stand-up paddle boarding and jet skiing possibly the most popular. But the surrounding mountains are great during the warmer months, as well; rent a mountain bike and head downhill, or grab your gear and go hiking through some gorgeous wilderness. There�s even some fine art, for those who want to take it a little easier, in the form of summer�s Lake Tahoe Shakespeare Festival, which takes place in the stunning Sand Harbor State Park. 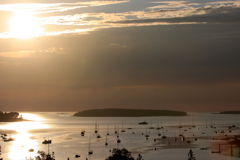 The hottest average high temperature in Bar Harbor, Maine, is just 75 degrees (coming at the end of July). That�s just one of the reason that the town has become a prime escape for northeastern city-dwellers. Exploring Acadia National Park is a treat as the climate becomes more temperate, and with so many New Yorkers and Bostonians coming to town, there are plenty of concerts, pop-up art spaces and interesting dining experiences here, as well. Make sure to stop in at some of the historical monuments and collections, as well; the Abbe Museum is a repository of Native American artifacts and stories, while younger kids tend to love the Dorr Museum of Natural History. The cities of Vancouver and Victoria are thought of by many as great skiing outposts. In fact, the towns are so synonymous with winter that the former was awarded the Winter Olympics in 2010. 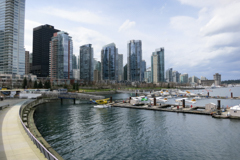 But in the summer, the largest city and the capital city, respectively, of the province of British Columbia are just as beautiful and have just as much to do. Scheduling a trip around Victoria�s Summer Splash is a good way to go; the local symphony performs a program from a barge in the Inner Harbour, while locals either picnic on land or float around in kayaks. Outdoor activities about in both the two cities and the surrounding area, with hiking and mountain biking being favorites. And, for those who absolutely must have a beach trip, Vancouver landmark Kitsilano Beach fits the bill nicely. Spring is turning into summer right before our eyes, which means it�s time to dig the beach-and-pool gear out of the closet and stock up on sunscreen. June, July and August are ingrained in the minds of many as a time for leisure, going all the way back to the summer vacations of childhood. Longer days mean staying out later into the evening, and even the heat itself manufactures a certain unhurried pace. One of the best ways of soaking up that sun during the summer months is getting a group of friends, the extended family or even just your significant other outside for some al fresco dining. The picnic is practically a summer must: Go to any public park in a temperate climate on a Sunday afternoon and you�ll see blankets spread out everywhere, homemade food, mini-speakers playing music and the occasional football or Frisbee being tossed around. Our non-profit fundraising travel packages often put your donors in the middle of cities with incredible restaurant scenes, making it tempting to spend the trip dining in. But it would be a shame to not get some food to go in one of these destinations and spend a leisurely afternoon outside, admiring one of the world�s great vistas. 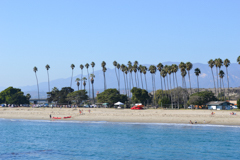 When Travel + Leisure put together its list of the top cities in America for picnics, two of the top three choices were in Southern California. It makes sense: The Southland has year-round picnic-acceptable weather and plenty of beachfront land upon which to lay out a blanket. But both San Diego (which finished second) and Los Angeles (third) also have fantastic options for picnic-ready carryout meals (important for those traveling with little access to a kitchen) and a variety of landscapes; spend a day in LA�s Griffith Park or an afternoon in Balboa Park in San Diego and you�ll see these two gorgeous cities from a different angle. To go to Paris and not enjoy a baguette al fresco would be a crime of some sort, surely. 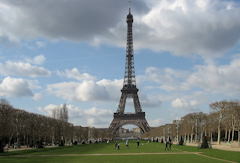 The good news: Possibly the best view of the Eiffel Tower comes in the city�s 7th Arrondissement (or district), on a grassy strip of land, called Champ de Mars, leading up to the base of the monument. In fact, many of the most well-known sites in Paris have green areas nearby to admire the view while dining on that glorious French food; outside the Sacre-Coeur, alongside the River Seine and in the Luxembourg Gardens are all lovely spots. Eating outdoors is a popular enough pastime in the city that several services will deliver a picnic lunch to tourists � true blanketside service! Of course, when it comes to parks that are perfect for picnics, there may be no better example in America than Central Park in New York. 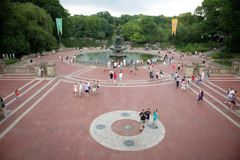 The crown jewel of the city�s open space, Central Park has been attracting visitors with blankets and baskets for more than 150 years. It�s not the only great vista in the Big Apple to take in while dining, though; the High Line has plenty of space to dine while overlooking Chelsea, and for those heading to other boroughs, Prospect Park is a perennial favorite. Even better: Your donors can pick up their meal at one of New York�s great delis with one of the gift cards that comes with our �Nosh Your Way Through Three New York Delis� package. In pop culture, Memorial Day means the beginning of summer, cookouts, spontaneous beach trips and, for younger people, finals and the end of the school year. And with the exception of those year-end tests, we�re in favor of all of those ideas, too. But it�s also important on Memorial Day to take time and reflect on the reason for the holiday: Honoring those who gave their lives, what Abraham Lincoln once called �the last full measure of devotion,� to protecting and serving this country. At Mitch-Stuart, Inc., we have hundreds of non-profit fundraising travel packages that donors bid on in order to go on relaxing, energizing, or just plain fun vacations. But our trips work for any occasion, including paying solemn respects this weekend at one of these monuments to our fallen Armed Forces members. Many travelers make their way to Indianapolis, Indiana on Memorial Day weekend for the Indy 500, one of America�s great car races and one that has been scheduled on or near the end of May since 1911. 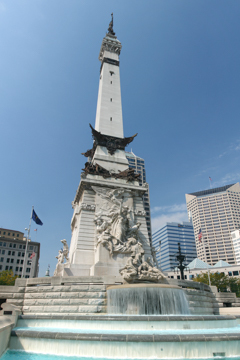 But the city is also home to one of the most iconic memorials in America, the Indiana State Soldiers and Sailors Monument. At just 15 feet shorter than the Statue of Liberty, the obelisk was built as an ode to Indiana residents who fought in the Civil War, but has over time expanded to honoring soldiers in the Revolutionary and Spanish-American Wars as well. It also now houses the Eli Lilly Civil War Museum. When it was established in 1902, it was thought to be the only monument at that time to be dedicated to the everyday soldiers, the rank-and-file, rather than a general or a commander. The World War II Valor in the Pacific National Monument is made up of nine different locations in three different states, but the majority of the locations are in Honolulu, at the site of the Pearl Harbor attack. The USS Arizona Memorial is a tremendously-designed monument; the structure straddles the sunken battleship, without ever touching it, allowing for unique visual perspective of the wreckage. 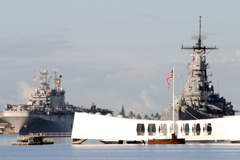 There are also monuments to the USS Utah and Oklahoma there, while the USS Missouri, not technically a part of the monument, is also docked in the harbor, having been turned into a museum. Taken in whole, it�s a powerful reminder of those who gave their lives in the Pacific. 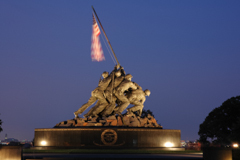 The largest concentration of memorials, however, is in the area of our nation�s capital. The Vietnam Veterans Memorial may be the most famous, its wall of names receiving more than three million visitors each year, but the DC War Memorial, the U.S. Navy Memorial and the World War II Memorial all also fall not just within the city limits, but within a short distance of each other. With Arlington National Cemetery and the Marine Corps War Memorial (also known as the Imo Jima memorial) located a short subway ride away in Northern Virginia, not to mention all of the presidential monuments and other historic landmarks in the metro area, there are many opportunities for patriotic visitor to pay their respects. For many, the goal of a vacation is to relax. It�s a chance to leave the worries of day-to-day life behind, get on the road and unwind, even if it�s just for a few days. For those who can�t get out of town in between, say, the end of work today and the beginning of work tomorrow, though, there�s the stress-relieving properties of yoga. Between 2008 and 2013, the number of Americans who participated in a yoga class at least once in the year increased from 17 to 24 million. That�s nearly as many yogis (of varying levels) as there are golfers, according to USA Today. Chances are, there are supporters of your organization that have a favorite class or teacher in your hometown � and there�s also a good chance that some of their identities may surprise you. At Mitch-Stuart, we have fundraising auction travel packages that take donors all over the world, to hot sports for golf, foodie culture, music and high culture. Yoga has such centers, too, and for those who want to get some downward-facing dog time while on vacation, these destinations may attract extra bids. A favorite of �World�s Best Yoga Spots� lists, Bali is the home of the yearly Bali Spirit Festival, a confluence of dance, music and, of course, yoga. But the island is a favorite of yogis all year, with places to practice on the beach, in the jungle and everywhere in between. And despite having a reputation for attracting regular practitioners, many of the classes in Bali are considered more restorative and relaxing, meaning that they�re appropriate for all experience levels. Costa Rica is a favorite nation for yoga retreats, with places like the Blue Spirit Retreat Center and the Luna Lodge hosting traveling groups from around the world for weeklong sessions in the wild and on the beach. But your donors don�t have to commit to a full seven days� worth of downward-facing dog to get in a stretch or two. The Bodhi Tree Yoga Resort features multiple classes a day in beautiful Nosara, for instance, and Montezuma Yoga hosts morning and evening sessions in Playa Montezuma. 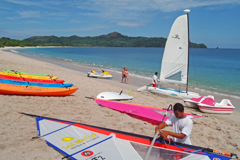 Even some of our partner resorts offer their own classes, like those at the JW Marriott Guanacaste Resort and Spa. None of this is to say that your donors need to leave the country for a yoga-cation. Major metropolitan areas in the country like New York and San Francisco have so many options for classes that to list them would take days. But if you want to find America�s great yoga secret, head to Asheville, North Carolina. No, really: The city was named one of the top ten cities in America for yoga by Yoga Journal, thanks in part to its close-knit community and surprising variety of styles. Oh The Places They Will Go! May brings Mother�s Day, the Kentucky Derby and, of course, flowers (according to the Theory of April Showers). But it�s also the time of year when students get together, listen to one final lecture, and walk across a stage to be handed a piece of paper. It is graduation season in America, and this can be a fun time, celebrating the academic achievements of friends and relatives of friends. But it can also occasionally be confusing: What present does one get for a recent graduate? Mitch-Stuart, Inc.�s fundraising auction travel packages are often used as gifts, whether it�s for birthdays or anniversaries. But there are plenty of trips in our catalog that make a lot of sense to give to a college graduate as a celebration of their maturation into the real world, while also raising money for a good cause. As anyone who has joined the working world knows, there may be no freer period of one�s life than the one that comes between graduation and a first job. Whether it�s just a couple of weeks after final exams or a job search that stretches throughout the summer, there often are few worries as post-grads start to dive into the real world. This means that there may be no better time in the near future for a traveler to take that major trip, the week-long one to a part of the world that falls way outside of �weekend getaway� status. Several of our Destinations of Excellence fall into that category, but the hottest one right now might be Bali, the Indonesian island that has been popping up in travel magazines for the last several years. It�s the type of once-in-a-lifetime trip that is meant to be savored, and not rushed � perfect for the recent graduate with a little bit of flexibility on his or her hands. The backpacking trip across Europe has been a staple of post-graduate travel for generations. The romance of the open road, sleeping in train cabins, and seeing the entire continent is a major draw to the young and adventurous. It also can be stress-inducing for the parents of those doing the traveling, however. 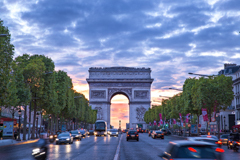 Help your donors split the difference with the �Hit the Road, Jacques!� travel package, which sends a donor � or a donor�s gift recipient � to both Paris and Rome, with stays in nice hotels (no sleeper cars here!) and tours of the city on a vintage motorcycle and a Vespa, respectively. The trip couples the thrill of roadtripping with the knowledge of where a traveler will be sleeping and showering, allowing worried parents to sleep better. Of course, for some, getting out of school is a stressful enough proposition that a recent graduate may just want to sit on a beach chair, sipping a frozen drink that has a cocktail umbrella in it. 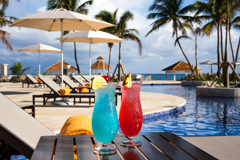 For those ex-students who need some time to decompress, there may be few better places to do so than at Montego Bay in Jamaica, at an all-inclusive resort like the Hyatt Zilara Rose Hall. It�s the best of both worlds for a young traveler: A diversion-filled property where the food and drinks are complementary, on an island known for its world-class culture, lively arts scene and fascinating cuisine. Spring Updating: The New Catalog! Spring is the time to declutter, the time to go through closets and get rid of that which you don�t need anymore. We do it to create space for ourselves, both metaphorically (don�t you feel more relaxed when surrounded by less stuff?) and physically. But best of all: All that new space means you�ve got room to store new purchases. We�ve got the same impulses at Mitch-Stuart, Inc., but in our case it�s more of a �freshening up.� That�s why our new catalog of fundraising auction travel packages features some brand-new trips to the world�s greatest destinations. New continents! 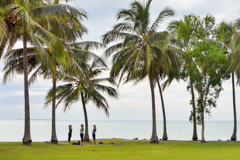 We�ve brought back an adventure to Australia that is perfect for your outdoorsy supporters; it includes a stay in a three-bedroom villa and chances to see the Great Barrier Reef and the Daintree Rainforest. 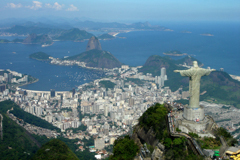 And we also return to South America with a trip to Rio de Janeiro, with a weeklong stay in the prestigious Barra da Tijuca neighborhood, which will host a large number of venues for the 2016 Summer Olympics. More options in Bali! Stay in a five-bedroom beachfront mansion on one outing, or get in touch with your spiritual side with a trek to the Sacred Monkey Forest Sanctuary. And we�ve also added a trip to nearby Thailand, with a stay in a villa located just minutes from the country�s stunning West Coast beaches. More golf courses! 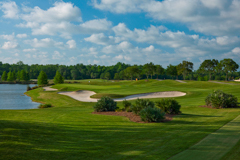 Play a round at Pete Dye's Valley Course, the sibling to the world-famous Stadium Course at TPC Sawgrass, while staying in Ponte Vedra Beach, Florida. Or take a shorter break in Scottsdale, Arizona while still getting in games at the Troon North Golf Club, named one of the Top 100 Golf Courses You Can Play by Golf Magazine. More beachside fun! New options in Belize, St. Thomas and Cabo San Lucas combine sandy fun with luxury and adventure. If you�d like to hear more about any of these new ways to send your donors on the vacation of a lifetime (while making money for your organization), reach out to a Mitch-Stuart travel expert today. This Thursday, people around the country will fill Irish bars, drink a pint of Guinness and toast St. Patrick, the patron saint of the Emerald Isle. But while, for many, intoxicants and green clothing will make up the bulk of the revelry, there�s a great amount of cultural significance to the day in this country; it�s a celebration of the Irish people who meant so much to America�s development when they began coming to the United States en masse in the 19th century. These types of celebrations, these recognitions of cultures that have contributed so much to the American fabric, can be great reasons to travel to some of America�s favorite cities. For your donors who win a fundraising auction travel package from Mitch-Stuart, here are some great holidays worthy of a trip. According to numbers from the Migration Policy Institute, there are more people from Mexico in Los Angeles County than there are in any individual city in Mexico itself, save the capital. With such a large population, it�s no wonder that L.A. is a national leader in Cinco de Mayo celebrations. But while every Mexican food restaurants from Tinseltown to the border will offer some sort of special menu, and some revelers will be much more interested in the libations of the country than the culture, those with an interest in the heritage of our southern neighbors will head to Olvera Street, in downtown Los Angeles. 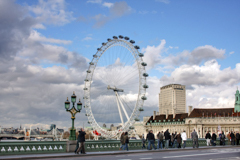 There�s food and drink, of course, but there�s also music, exhibitors, and traditional dancing. Even bigger: The street�s Dia de los Muertos celebration each year stretches for almost a week, and includes nightly processions and stunningly-decorated alters. Long considered the largest Chinatown outside of Asia, San Francisco�s version of the neighborhood throws one of the biggest Chinese New Year parties in the country. The area around Telegraph Hill in the City by the Bay plays host to a parade, a run, and a gorgeous street fair with great food, merchants and artisans teaching traditional Chinese cultural arts like lantern- and kite-making. About a half-million attendees walk the streets each year during the celebrations, making it a popular choice for travelers looking to see San Francisco through the prism of one of its oldest neighborhoods. Spotlighting New York City for its celebrations of international culture feels like a cheat; in the Big Apple, nearly every nation in the world has a sizeable population (and, in many cases, a pride parade). One of our favorites, since we love to travel for foodie adventures, is the Feast of San Gennaro, held in the city�s Little Italy neighborhood. There�s a procession here, as well, but there�s also musical entertainment, remembrances and ceremonies, and � most importantly � all sorts of Italian food. 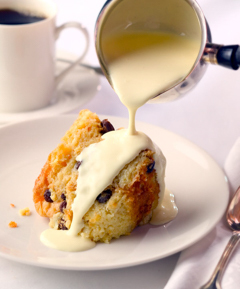 Restaurants and cafes open their doors and offer special menus, those with bigger stomachs participate in a cannoli-eating competition and chefs demonstrate how to add that touch of Tuscany (or other provincial cuisines) to any home-cooked meal. The 2016 edition is expected to draw more than a million visitors to lower Manhattan from September 15-25. The summers in Las Vegas can be brutal. Average high temperatures in Sin City during the summer months stay in the triple digits, with a peak of 106 degrees � on average � in July. The winters head to the other end of the spectrum; while average highs in December and January are just under 60 degrees, the lows get down to nearly freezing, and the desert winds can run right through a snowbird�s bones. Thankfully, there�s the spring. While Las Vegas doesn�t have as many of the blooms that other cities might have (there�s nothing in the area that could compare to, say, the Cherry Blossom Festival in Washington, D.C.), the more moderate temperatures of March, April and May can draw visitors out of the air-conditioned casinos and into the fresh desert air. At Mitch-Stuart, our non-profit auction travel packages are designed to be used at almost any time throughout the year, but there are definitely seasons that, depending on a traveler�s hobbies and activities, are more pleasant than others. And if you�ve got supporters who love poolside libations, golfing, or just outdoor sightseeing, springtime in Las Vegas is hard to beat. One of the favorite pastimes of spring Vegas visitors is camping out poolside for an afternoon, with a drink (alcoholic or otherwise) in one hand and a good book in the other. The pools at the major casinos start opening for business in mid-March, and with temperatures being warm (especially for those coming from colder, snowbound homes) but not scorching, there are plenty of chances for working on that tan while relaxing in a lounge chair. Hotels like The Cosmopolitan of Las Vegas and Caesars Palace have raucous poolside atmospheres, while Paris Las Vegas� Soleil Pool is a calming oasis in the shadow of the resort�s replica Eiffel Tower. Playing golf in the tremendous heat of a Vegas summer can feel more like a death march than a game. Going in March or April rather than July or August, however, keeps the heat on simmer rather than broil. And the city is an underrated stop for golfers, too, with a major variety of courses in the area; the TPC Las Vegas is a stunner appropriate for strong players, while Angel Park�s Cloud Nine is a shorter, �executive� course designed for hackers of all levels. 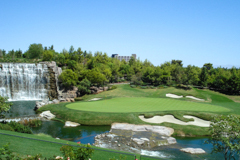 Players don�t even have to leave the Strip, with the Wynn Golf Club providing an 18-hole layout in the shadow of the resort. 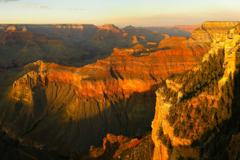 Even sightseeing can take on a labored pace in 100+ degree heat, meaning that natural wonders like the Grand Canyon may be better appreciated in the spring, rather than the summer. For all the manmade, neon diversions of Sin City, its most beautiful vistas can be found in the surrounding desert. Red Rock Canyon offers tremendous hiking and rock climbing, and Hoover Dam is a unique architectural marvel. 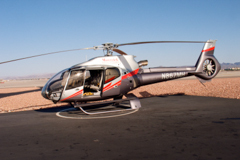 And though it sits in the neighboring state of Arizona, the Grand Canyon hosts visitors from Vegas every day, thanks to a plethora of tour operators flying helicopters to and from the natural wonder. Chocolate? Meh. Flowers? They�ll be dead in a week. Jewelry? Sure, but do people really need more �stuff�? We may be biased, but there may be no more romantic gift than the gift of travel. Mitch-Stuart can set up your donors with fundraising auction travel packages for any time of the year and for any occasion, of course, but there�s something special about sending two lovebirds out into the world together, to explore and make wonderful memories. Whether you�ve got supporters looking for a honeymoon excursion, a babymoon last hurrah, or just an adventure with the love of his or her life, setting them up with a once-in-a-lifetime trip to a Destination of Excellence� will plant you in their mind every time they reflect on that romantic getaway. Going on an adventure together can also push you and your partner out of your comfort zone. Whether you feel stuck in a rut or just would like to infuse your romance with a little spice, the adrenaline triggered by trying something new can be a great way to jump start emotions, as well. 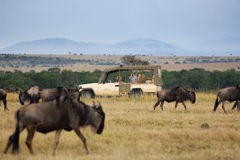 This could mean, for instance, heading for Africa with our �Explore Kenya�s Breathtaking Landscape & Wildlife� package, which includes a gift card that can be used for game drives, bush walks and other safari experiences. Finally, while the act of traveling is romantic on its own, the destination often has its own enchanting activities. We touched on that idea last year around this time, but it bears repeating: Booking the right itinerary once on the ground can make any place seductive. 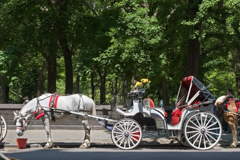 Exploring New York as a couple may mean a walk through Central Park at sunset or a date night at the Plaza. Any Southern California or Caribbean trip means walks along the beach. 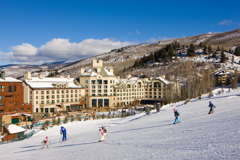 Skiing adventures in Aspen means apr�s-ski cuddles by the fire. No matter the trip, there�s something waiting at the destination for couples. It�s a funny reason for a Christian holiday: The night before the purging season of Lent, Mardi Gras celebrates binging, preparing for the relative austerity of the weeks pre-Easter by over-indulging for one night. For some, that means plenty of adult beverages, while for others it�s fatty and sugary foods. No matter the gluttony of choice, Mardi Gras is best observed by consuming too much of something that will put the celebrant in confession the next day. Of course, like other holidays, Fat Tuesday (as it�s known in some parts of the world) is only partially about religion anymore, as it has been adapted as a secular celebration for revelers of all (or no) faiths. While New Orleans may be considered the holiday�s epicenter, Mardi Gras parties aren�t the sole domain of the Crescent City. In fact, with our fundraising auction travel packages, Mitch-Stuart can send one of your supporters to a celebration in any one of the great travel destinations around the world. Want to enjoy the day without a trip down Bourbon Street? You � and your donors � have options. While New Orleans may be the city most associated with the holiday today, its origins are in French Catholic traditions. It should be no surprise, then, that France has nationwide celebrations of Carnival and Mardi Gras to this day. Parades in Nice, Paris and other cities mark the occasion, with large floats, ornate masks and confetti being the coins of the realm. Nice, in particular, is a special celebration; it attracts more than a million visitors to the city. 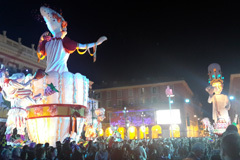 In Italy, Carnival is tied closely to Mardi Gras, as well; �Fat Tuesday� is the final day of the celebration that involves fireworks, special dinners and parties, and art. 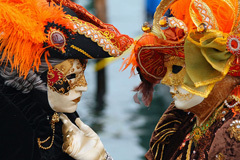 In 2016, the Venice festival is featuring almost 150 separate events, leading up to a �best mask of Carnival� contest, a closing ceremony and fireworks at the Arsenal of Venice. Your donors don�t have to leave the country to celebrate Mardi Gras, either. 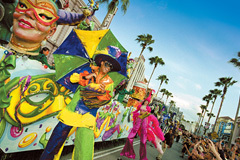 Universal Studios in Orlando celebrates the holiday on select dates between February and April, with parades and concerts in a family-friendly environment. 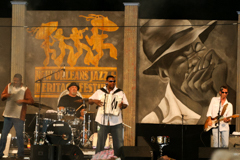 Music is a major part of the fun here; 2016 features traditional New Orleans Zydeco bands in the French Quarter Courtyard and big name touring acts like Adam Lambert and Diana Ross on the Music Plaza stage. And while New Orleans will always be the gold standard of Mardi Gras celebrations in America, most major cities in the country mark the day with some sort of event. In New York, the 2nd Avenue Mardi Gras Stroll enters its 19th year of libation-fueled fun, while the Mardi Gras Ball in Boston is into its third decade of existence. 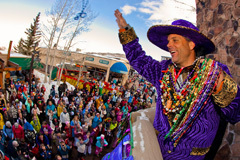 Mid-sized communities get into the act, as well; In North Carolina, Asheville has its own parade on the weekend preceding Fat Tuesday, and Snowmass, just miles outside of Aspen, kicks off the day itself with the �Mother of All Ascensions,� an uphill snowshoe race. There are seemingly a thousand moving parts when it comes to a non-profit fundraising event, from catering to theme selection, from invitations to decorating and from entertainment to auction set-up. Getting a gala off the ground and ready to entertain guests can be a tremendous amount of work. Filling out the auction list: Obviously, we can send your donors on once-in-a-lifetime adventures from Boston to Bali, and to events like the Super Bowl or the Tony Awards. But our partners at Grandstand Sports and Memorabilia� can add more lots to your auction, with everything from sports gear to platinum record plaques and rare film items, signed and presented with certificates of authenticity. Getting the biggest bids: Yes, you can get a volunteer to act as auctioneer over the course of an evening. Yes, they can get to live out their dream of saying things like, �I see $500, I see $500, can I see six?� as quickly as possible. But if you do, you will be leaving money on the table. A good auctioneer is like a good emcee or host: You may be able to do without one, but you�ll notice their absence. For more, check out our blog post with reasons to hire a professional auctioneer. Organizing the auction: So you�ve got a list of items, you�ve got people who want to bid on those items and you�ve got someone to sell them. Who�s going to be in charge of collecting payments and distributing the items? Don�t make a volunteer sit in the back of the room with a credit card reader attached to an iPad, swiping cards and handing out envelopes with certificates. Leave that to a company like GiveSmart�, which along with mobile bidding (another item to incorporate into your auction with little effort! ), also offers �check out� services. Allow winners to pay without standing in a long line at the end of the evening, and know immediately who has paid and who hasn�t. Want more great tips on how to get help planning and running your gala auction? Reach out to a Mitch-Stuart, Inc. expert today! 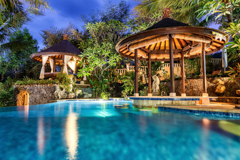 Mitch-Stuart, Inc., is the industry leader in non-profit auction travel packages, with a world�s worth of options from which to choose � from Boston to Bali, from Las Vegas to London and from Palm Springs to Paris. With such a massive catalog, choosing a trip to offer to your donors at your gala fundraising auction can seem overwhelming, so each month we�re going to highlight a top-selling adventure available through Mitch-Stuart, including its accommodations, its draws and ways that we can even sweeten the deal. The Trip: All-Inclusive Fun Under the Sun � Island Style! The Reason: After a tough winter across much of the country, anything with a beach view is going to get the attention of a prospective bidder/donor. And there are few places that scream �beach view� quite like the Caribbean. The Hotel: The all-inclusive resort Bolongo Bay Beach Resort caters to almost every whim of its guests. A regular fixture on �best beachfront hotels� lists, Bolongo Bay offers gratis meals and drinks � yes, unlimited cocktails � to those staying on the property. This means everything from eggs and OJ in the morning to lobster and wine in the evening is pre-paid. There are no pockets for your wallet in those swimming trunks anyway. The Add-Ons: Lounging on the beach all day while sipping colorful frozen drinks is one way to do a trip to the Caribbean. But another is to get active � and this package includes an introductory SCUBA lesson in the Bolongo Bay pool, along with a half-day snorkeling trip for an up-close-and-personal encounter with the local turtle population. �And More! : St. Thomas is known to be the most cosmopolitan of the Virgin Islands, and there�s as much to do here as any other part of the Caribbean. The Mahogany Run Golf Course features a three-hole run called the �Devil�s Triangle,� which awards a certificate to any player who can simply get through them without taking a penalty stroke. 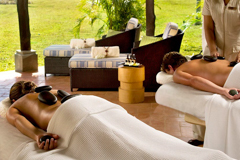 After 18 holes, it might be time to get a massage; there are day spas all over the island for relaxation. And though the resort dining is spectacular, those looking to head off into the island for different fare can look up Old Stone Farmhouse, where diners meet with the chef before the meal to prepare their own, personal menu. Want to find out more about this trip? Want to get the rundown on the rest of our catalog of once-in-a-lifetime travel packages to offer your donors? Reach out to a Mitch-Stuart Travel Expert today. When one thinks about vacations south of the border, Mexico is often the first destination that pops to mind. For others, a cruise around the Caribbean may be in order. 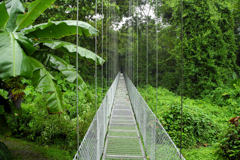 But the travel experts, those whose passports are running out of room for new entry stamps, know that Costa Rica, even with its upswing in �ecotourism� over the past couple of decades, is the hidden jewel of the equatorial Americas. Mitch-Stuart, Inc. has non-profit fundraising travel packages ready for destinations all over the world. But while cities like London and Paris attract a lot of attention, Costa Rica is sometime overlooked. This is great for the knowledgeable traveler: It means fewer tourists and more space to explore all the country has to offer! 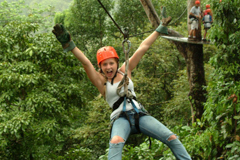 In fact, Costa Rica has something for every type of vacationer. For the beach-comber: With coasts on both the Pacific Ocean and the Caribbean Sea, the nation has almost 300 beaches, with more than a handful sure to suit the personality of any sun worshipper. The Papapgayo Gulf is a favorite for those visiting the resorts of Guanacaste, while the isolation of Uvita makes it a perfect place to hide out from the world. The youth and culture surrounding Montezuma make it the equivalent of a Southern California coastal community, and it�s impossible to take a photo of the white sands of Nosara that is less than postcard worthy. With such a diversity of experiences, one could spend a whole week in swim gear. 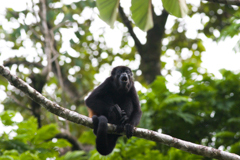 For the jungle explorer: Around 25 percent of the land in Costa Rica is in either a national park or other protected area, but the best to explore might be Corcovado National Park. Once called the �most biologically intense place on Earth� by National Geographic, Corcovado contains endangered species like the Baird�s tapir, a sort of pig-hippopotamus hybrid, and the Central American squirrel monkey. The stars of the show, though, are the two- and three-toed sloths. Other smaller parks and rainforests are scattered throughout the country, and tour operators take visitors sightseeing using everything from cars to zip lines. For the luxury lounger: While the outdoors are attention-grabbing, there�s plenty of beauty to be found indoors as well. The view of the ocean from the room balconies at the JW Marriott Guanacaste Resort and Spa is tremendous, and the on-site spa includes saunas, pools and even palapas, or thatched-roof huts, to mix clean air with a massage. In San Jose, the Cala Luna Boutique Hotel and Villas features a poolside dining experience unrivaled, with local flavors and farm-to-table foods. Visiting the city is no excuse to skip finer living, either: The Hotel Grano de Oro in San Jose is a converted Victorian mansion, with a secluded rooftop Jacuzzi terrace that has to be experienced to be believed. 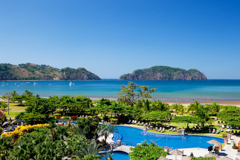 Beach, jungle and luxury � Costa Rica has it all! Let your donors bid on a once-in-a-lifetime trip at your next gala auction. Contact a Mitch-Stuart, Inc. Travel Expert today to get started! There are a lot of signs of spring beyond longer and warmer days. For some, it�s the first day of baseball season. 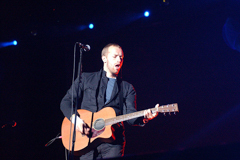 For others, it�s the return of music festivals, or maybe the first barbecue invite. 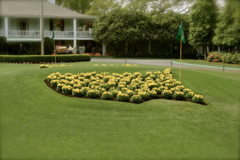 But one of our favorite rites of the season is The Masters, one of golf�s oldest and most prestigious tournaments. 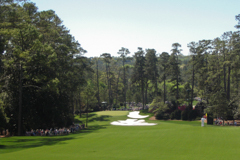 Each year, the planet�s best golfers descend upon Augusta, Georgia for four days that could make or break a professional player�s career. 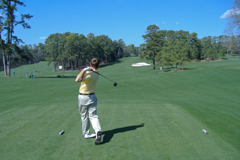 But while the biggest action may take place at the Augusta National Golf Club, the city and surrounding area has attractions for both golf aficionados and everyday travelers alike. At Mitch-Stuart, Inc., we pride ourselves on creating once-in-a-lifetime travel packages for non-profit fundraising auctions, so our trips to Augusta features day badges to either one or two days of The Masters. But those hours on the golf course aren�t the only reasons to head to the city. 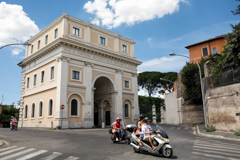 Thanks in part to Augusta�s age, there are plenty of fascinating architectural elements to explore. The Lamar Building, in the city�s Downtown Historic District, was built a century ago, but its rooftop glass enclosure was designed in the 1970s by famed architect I.M. Pei (he designed the pyramid outside the Louvre in Paris). The entire district, in fact, is on the National Register of Historic Places, thanks in part to its diversity of building styles; everything from Art Deco pieces to Craftsman homes can be found by discerning eyes. That type of range can also be seen in local cuisine, where southern comfort food can be found steps away from white-cloth, upscale restaurants. High-end eateries like Le Maison are in major demand during The Masters; reservations are often made months in advance and credit cards are used to hold spots. But down-home diners like Ruth�s Family Restaurant have an appeal all their own, as well, with locals gossiping over biscuits and gravy during the breakfast rush. But one of the best-kept secrets about the Augusta area is its natural beauty. There are plenty of opportunities to enjoy the outdoors (and maybe work up the appetite for those biscuits and gravy!) at local parks and other sights. Take a stroll along the Augusta Riverwalk, for instance, and stop and smell the flowers at its various gardens, along the Savannah River. Or rent a bike (or, for the more adventurous, a canoe) and explore the Augusta Canal National Heritage Area. Keep an eye on the boat tour schedule, too; the canal�s Music Cruises are popular ways to both experience the scenery and local culture, with bluegrass and beauty in equal measure. 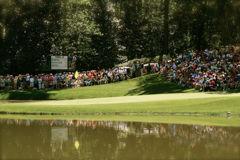 The 2015 Masters start April 9 � and we�ve still got time to help you send a donor there! Contact a Mitch-Stuart, Inc. travel expert today. For some, going on a cruise represents the chance to smell the ocean air and lounge in the beautiful weather of the Caribbean or the Mediterranean. For others, it�s the chance to visit either multiple islands at once or see wilderness only described in adventure novels (like the wilds of Alaska). Many enjoy the family bonding available on a cruise; the ships are great places for the entire family, with plenty of diversions for kids. Still others, though, are there for the food. At Mitch-Stuart, Inc., we put together charity auction travel packages for every type of traveler. 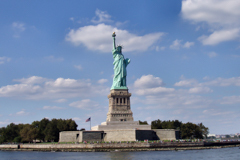 We�ve got several great trips to explore the cuisine of big cities like New York City and smaller towns like Asheville, North Carolina. But some of the best food available to a traveler can be found aboard cruise ships, which combine a number of influences to provide a wide range of tastes and dishes to their clientele. 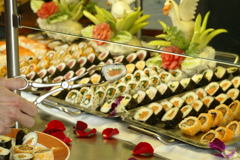 On each ship, the main room dining options are vast and the elegance is astounding � especially for an experience whose price is already �baked in� the price. The main dining rooms on the ships of Royal Caribbean deliver tremendous menus and great wine selection, all in an atmosphere that is upscale without feeling intimidating (as in, bring the kids!). 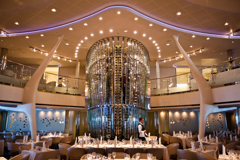 As for the ships of Celebrity Cruises, the dining rooms of the Solstice and the Equinox were recognized by Travel + Leisure in 2009 as the �Best Cruise Ship Dining Rooms,� thanks to beautiful two-story wine towers and dishes like roasted California quail. 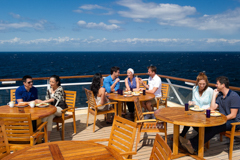 Main dining areas are only a few of the places where a cruise ship traveler can sate his or her hunger. Specialty restaurants serve fun takes on Italian, Mexican and seafood-based cuisine aboard most ships. And despite having to cater to a wide variety of tastes, ship cuisine can have some idiosyncratic fun, as well. At the Lawn Club Grill on Celebrity Cruises� Silhouette and Reflection ships, diners get in on the action by grilling their own steaks. Each party gets to pick a �Grill Master,� who gets a lesson in open-flame cooking by helping one of the boat�s chef in preparing the main course. The Lawn Club Grill also offers classes on both grilling and pizza-making for those who would rather separate learning from dining. But the newest highlight of the open water may be upping the bar for dining options. Royal Caribbean International�s Quantum of the Seas features offerings from superstar chefs like Jamie Oliver and Michael Schwartz amid an 18-restaurant �menu.� Whether it�s top-notch bar food, Japanese small plates or even what RCI has taken to billing as �the first-ever food truck at sea,� the SeaPlex Dog House, every culinary itch can be scratched on board. At Mitch-Stuart, Inc., we love working with non-profits to provide charity auction travel packages as fundraising tools. 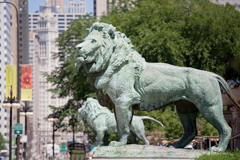 One of our favorite destinations is the Windy City, the one that gave the world the Steppenwolf Theatre Company, Bill Murray and numerous politicians, athletes and influential figures. More than 30 million people visit Chicago as tourists each year, and with our travel packages, some of your donors can stay and play there, too. Why send a supporter to Chicago? Chicago has a lively culinary scene, with fascinating new restaurants opening on a weekly basis. 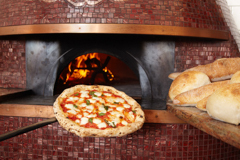 But even with the diversity of options available, the city will likely always be known as the home of deep-dish pizza, the pie-like creation of Pizzeria Uno. Stuffed with cheese and overflowing with toppings, the pizza is popular enough with Midwesterners that it�s comparing it to New York-style pizza is a nationwide debate on the level of �Pepsi versus Coke.� Tours of area pizzerias (like the one offered with our �Leave a Pizza Your Heart in Chicago� � read it aloud � package) take on the feel of a Napa winery expedition, with different varieties of not only the famous deep-dish, but also �tavern-style� and the more familiar Neapolitan styles. 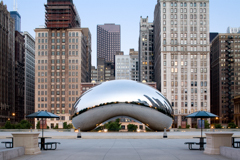 For those seeking a vibrant downtown center, Chicago provides urban travelers a cityscape filled with cultural monuments. Take an architectural tour of Frank Lloyd Wright�s home, for instance, or explore the Art Institute of Chicago and the Museum of Contemporary Art. After taking in works of art all day, indulge in purchasing a work of art for your home (or your body!) on Magnificent Mile, the city�s premiere shopping destination with more than 3 million square feet of retail, restaurants and hotels. 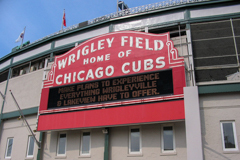 But if one asks 100 people on the street to name a Chicago landmark, it�s quite possible that Wrigley Field may be the top answer. The home of Major League Baseball�s Chicago Cubs, Wrigley was built in 1914 and has hosted All-Star Games, World Series (though never a championship for the Cubbies) and other major events. While the Cubs aren�t much of a threat to bring home a title any time soon, checking out a game either from inside the park or, as one Mitch-Stuart travel package offers, VIP rooftop seats across the street is a wonderful way to pass a summer afternoon. The northeast is known for its foliage during the fall. Southern California and the Florida coast is known for sunny summer days and boardwalks. Washington D.C. is known for its springtime cherry blossoms (and government bustle). But when the snow starts to come down in earnest, Colorado gets its chance to shine. Skiing: Almost 20 percent of U.S. ski resort visits happen in the state of Colorado (more than the second- and third-place states combined), at one of the more than 20 resorts that belong to Colorado Ski Country USA, the non-profit organization that represents the state�s skiing community. It is big business for the state � it�s estimated that skiers and snowboarders contribute nearly $3 billion annually to the local economy � so it�s not a surprise that so many mountain towns are based in large part around resorts. And when it comes to skiing in Colorado, downhill may be king but cross-country skiers have almost as many options, both at resorts and at specialized Nordic centers in places like Aspen and Crested Butte. 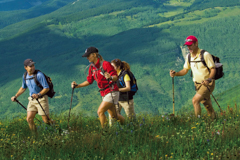 Hiking and Mountain Biking: One doesn�t have to strap wood to one�s feet in order to enjoy those peaks, however. Many of the state�s 30,000 acres of skiable land, when not covered in snow, are open to hikers and mountain bikers. Beyond that, though, there are a staggering 58 mountain peaks in the state that break the 14,000-foot elevation barrier. There are hikes for the novice and the expert, whether it�s the short ascent to Hanging Lake in Glenwood Springs or longer, more challenging climbs, like the 500-mile Colorado Trail from Denver to Durango. 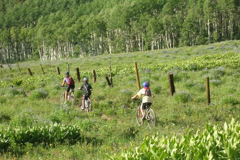 There are even mountain biking trails that ride along the Continental Divide (Monarch Crest) and to the top of mountain passes (Kenosha Pass). Food and Drink Adventures: While the mountain communities have a long way to go before matching, say, Kentucky�s Bourbon Trail, the microdistillery scene is alive and well in Colorado, stretching from Stranahan�s in Denver over to Woody Creek Distillers in the mountains outside of Aspen (the only distillery in America with control over every step of the vodka creation process). Microbreweries also dot the landscape, starting with the famed New Belgium Brewing Company in Fort Collins (with an outlet in Snowmass, outside of Aspen). Thinking of sending donors to the Mile High State? Reach out to your Mitch-Stuart rep to find out how to offer a consignment, charity auction package sure to add the �WOW factor� to your gala! It�s possible that your non-profit or charity is so connected to its donors and to the public that all you have to do is swing open the doors, plate some appetizers, and ask for cash. It�s possible � but unlikely (not to mention way less fun). Dress to Impress (Or to Not Impress): The day-to-day grind is often about finding comfort: People seek comfortable modes of transportation, comfortable temperatures and, certainly, comfortable clothing. But pushing donors out of their comfort zone can be all it takes to transport them from the daily routine and into a new world. The easiest way to accomplish that? Dress codes. Making a party a black tie affair works, but experiment with other ideas, too: Costume or masquerade balls are popular, as are �white� parties (everyone dressed in the palest of pales) and even beach attire soirees (sunscreen is optional). How to Play: Once everyone is dressed to the nines (or roaming around in flip-flops, depending on the theme), it�s time to get them mingling. Introducing donors to each other (and to your non-profit�s enthusiastic volunteers) helps them forge new connections, share experiences related to your charity�s mission and generally makes for a livelier, lighter atmosphere (the type of feeling that can help boost auction returns). Try putting people together through games; talking with fellow faux-gamblers around a roulette wheel or bean bag tossers can be easier for the shy, and theme-dependent games contribute mightily to the mood of the room. From the Floor to the Block: Finally, a theme can help focus your auction item procurement efforts. Of all of the different no-cost, no-risk consignment travel package options available, wouldn�t it be easier if there was a linking idea, a mood to set or a locale to match? For instance, a theme like �Casino Night� is begging for a trip to Monte Carlo or Las Vegas. Taking your donors to a faux-beach? How about a trip to the Caribbean or a seaside picnic package? So much of the process of putting together a charity auction becomes easier when the planner can focus on one idea. Combine a dress code, games and selected auction items, and you�ve got a theme. Black tie, roulette and craps tables and trips to Monte Carlo add up to �Casino Night.� All-white dress, horseshoes or croquet and a trip to New York gives you �A Hamptons Summertime.� Beach gear, beanbag or Frisbee tossing and trips to Florida or Southern California? Welcome to �Beach Night.� In each situation, you�re giving your donors a curated, thought-out party experience that will give them a chance to interact with you and your cause in a fun, light-hearted manner, all while supporting your good works. Got your own gala theme ideas? Share them with us on Twitter @MitchStuartInc and at our Facebook page.